Here, you will find our list of Skydiving options in the UK. Experience the amazing sensation of free fall as the earth rushes towards you at over 120mph with our skydiving lessons. Our UK centres have some of the best facilities including comfortable and rapid climbing jump planes. 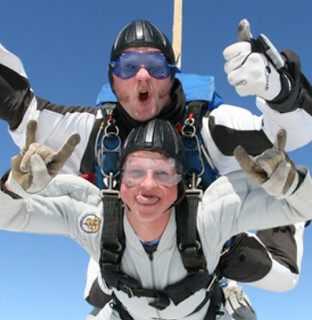 Jumping for the first couple of times is normally a tandem event with an experienced skydiver in control so that you can get an understanding of what skydiving is all about.